The following post is from two students who have been interning at SAM’s Dorothy Stimson Bullitt Library while completing their Master of Library and Information Science degrees at the University of Washington’s Information School. We are Michael Besozzi and Kate Hanske, and we have been working with Librarian Traci Timmons in the Dorothy Stimson Bullitt Library on an exciting digital initiative for the culminating work of our degree program. At the University of Washington’s iSchool, every student must complete a Capstone project, which should apply classroom theory to address a real-world information problem. For our Capstone work, we decided to tackle an information gap presented by access to SAM’s institutional annual reports. 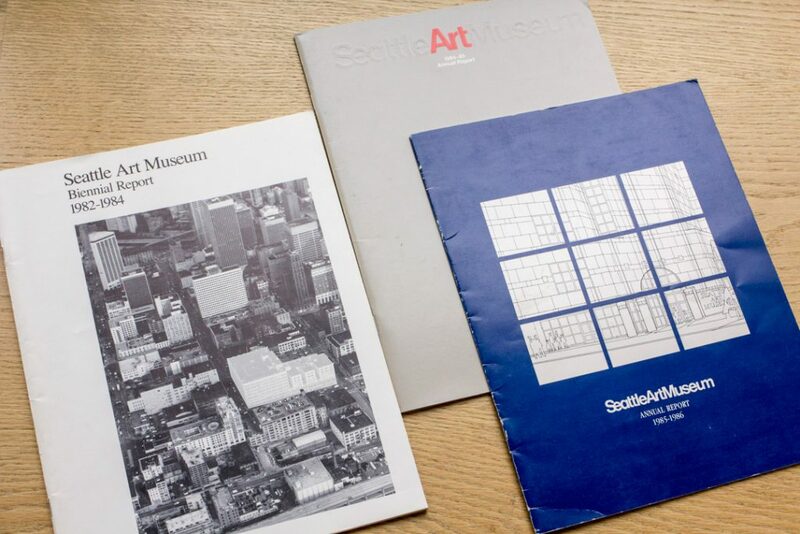 Dating back to 1932, the reports include information about specific accessions, ongoing museum activities, exhibitions, and other special events in addition to the financial statements for the year. 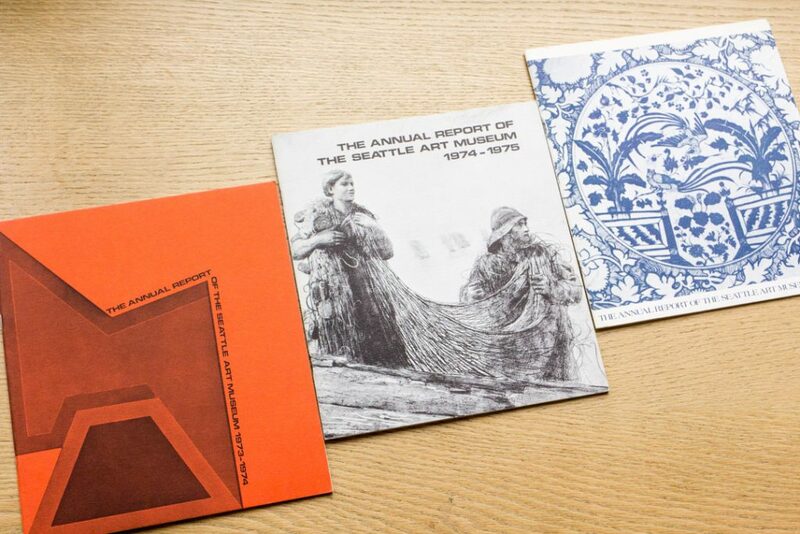 In a survey of nearly 900 American museums and cultural institutions, only 171 host their annual reports online. Out of those 171 institutions, many have unaccountable gaps between years of published reports. In the library, we saw an opportunity for SAM to create a unique digital collection and exhibition that includes every annual report in the museum’s history. We decided to aim for three outcomes for the digital collection: accessibility, transparency, and posterity. The Bullitt Library is composed of “open” and “closed” stacks. The “open” stacks consist of shelves containing materials that any member of the public, from curators to visitors, can browse and handle without the assistance of a staff member. 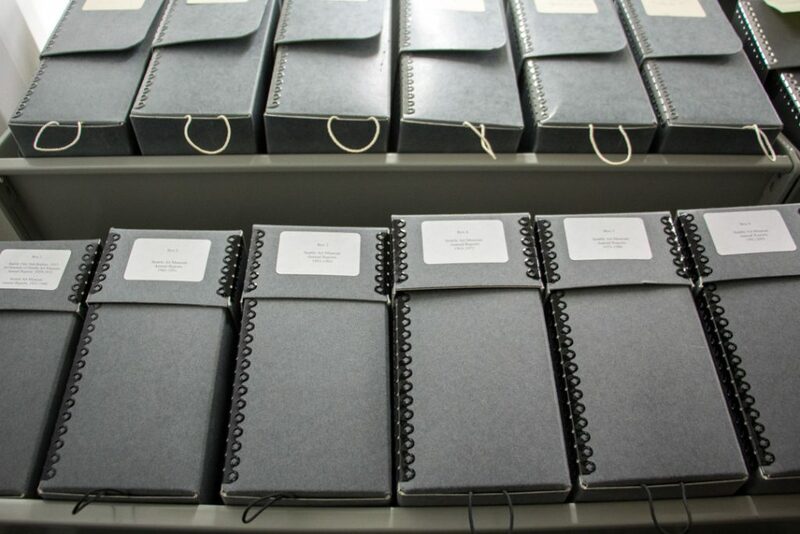 The “closed” stacks, located in a back room, contain a number of historical special collections materials. Due to the fragility of special collections materials, the closed stacks are only accessible by staff and designated volunteers. 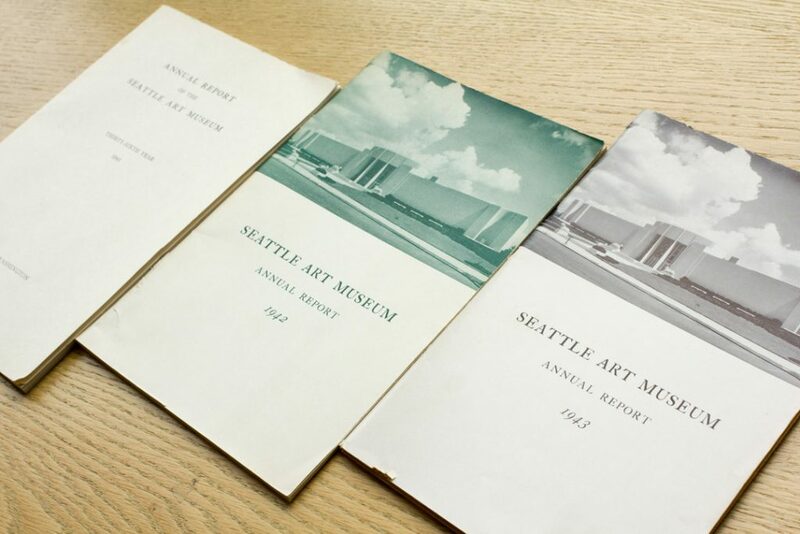 Located in those closed stacks are the Seattle Art Museum’s annual reports, dated from 1932 to the present. In order to access a report from a particular year, a visitor must have a staff member physically walk into the collection, pull out the box from the time range, and bring it to the patron, who must browse the materials in the box for the desired information. 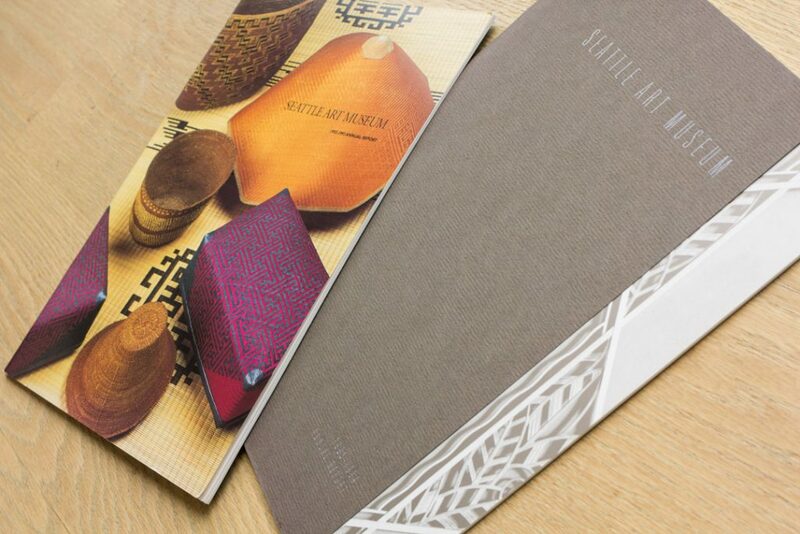 Requests for annual reports are common, ranging from staff members attempting to research financial records to visitors researching the history of the museum and the museum’s collections. Typically, a patron will perform a search that will require several boxes to be pulled at one time, which can also take up a lot of physical space in the small library. To add to the problem, the physical annual reports are not easily searchable: if a patron wants to locate a specific individual, exhibition, or piece from the collection, the user must usually go through multiple boxes (and other resources) in order to find what they need. This process can be time-consuming and frustrating! Further, the frequent physical handling of the documents, particularly the most aged and fragile, can cause irreversible damage over time. The completion of this digitization project empowers patrons to conduct research with the reports without being physically present in the library and without requiring the assistance of library staff and volunteers. 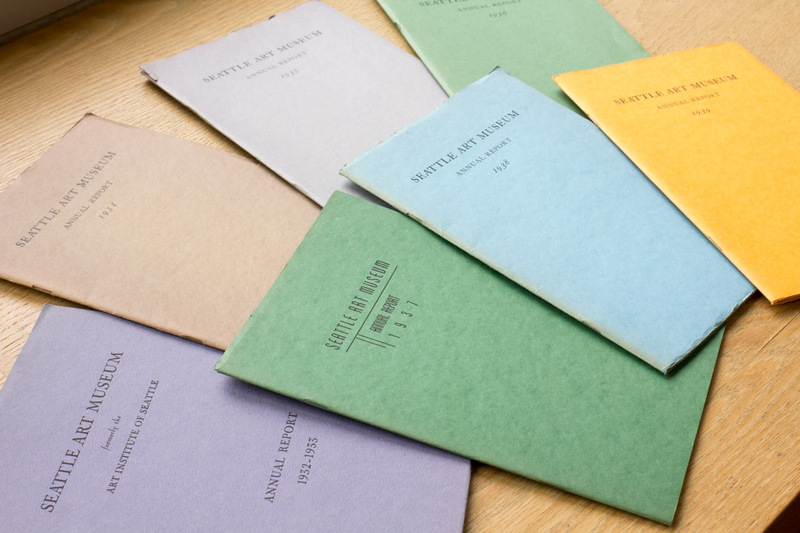 The reports are more fully accessible to the public, which facilitates institutional transparency, and they are preserved digitally for posterity. 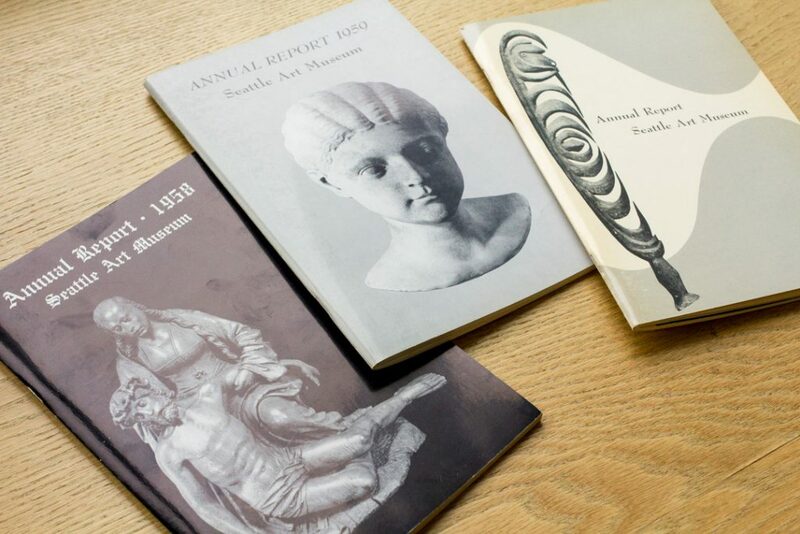 To create this collection, we scanned all 71 annual reports into the PDF file format and ran a program to make sure that the documents themselves are searchable. We then created a spreadsheet to store essential metadata (title, contributors, year, etc.) for the files to make the collection easy to navigate in an online environment. We uploaded these files and the associated metadata to the online repository and platform called Shared Shelf Commons, which allows these items to be browse-able and view-able alongside contributions from a variety of other institutions. Once the collection was made available in Shared Shelf Commons, we set about building an exhibition using another digital scholarship and web publishing platform called Omeka.net, which allows users to build digital collections and create online exhibitions. With Omeka.net, we were able to customize the exhibition display, organizing the reports by decade, and share the narrative history of the museum as told through the reports themselves. This is the first online collection of its kind for SAM and we are incredibly excited to finally make it available! You can explore the annual reports via the Omeka website here. You can explore the annual reports in Shared Shelf Commons here. And watch a short video overview of the project here.